In some of my previous posts I've covered the making of Belgian Candi Sugar (Posts 1, 2), but this isn't the only hard-to-find brewing sugar out there. For my upcoming big beer I need a healthy dose (2 kg) of invert sugar - something which around here you cannot get in anything less than industrial amounts (a hundred kilos minimum order). Invert sugar is used in a lot of English-style beers; it is simply table sugar (sucrose, a glucose chemically bonded to a fructose) broken down into its constituent glucose and fructose molecules. In theory it is easier for yeast to ferment this sugar, hence why it is popular in high-gravity brewing. Several of my readers and youtube viewers (and myself) have reported issues with sugar crystallizing, which if you're lucky makes a hard-crack sugar ugly, but if it gets too bad can turn your sugar into an unmanageable - and insoluble (which is bad for brewing) mess. I've been working on this issue and have found a solution - the details are included in this post, and can be applied to both Belgian candi sugars as well as to invert sugar. And as with candi sugar, don't forget that this can be quite dangerous - you are working with a sticky liquid well above the boiling point of water. Wear long-sleeved shirts and pants, cover your feet, and be as careful as you can be. So how do we make it - its easy, but as always the details are found below the fold. For every kilogram (2.2 lbs) of sugar you wish to invert blend 1/2 teaspoon of cream of tartar* and ~ 4 tablespoons of corn syrup. Add ~2 cups of boiling water per kilogram sugar blend until all the sugar is wet**. Heat on low-medium to medium heat on your stove, stirring frequently until all the sugar is dissolved. Do not boil the solution until all the sugar is dissolved. 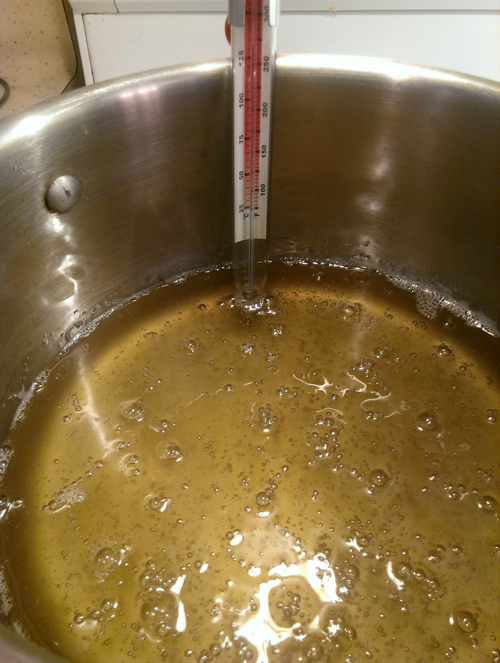 Once the sugar is dissolved place a candi thermometer into the mix and gently heat the mixture to 125-135C (260-275F). Hold in this temperature range for 30 minutes - ideally by adjusting your stove, but if needed you can add ice-cold water as shown in my previous posts on candi sugar.Note: a small degree of caramelization (browning) is normal during this process. At the 30 minute mark inversion is done - the next steps are described below, depending on whether you want a hard sugar or a syrup. *If you lack cream of tartar you can use any food-grade acid, including lemon or lime juice. 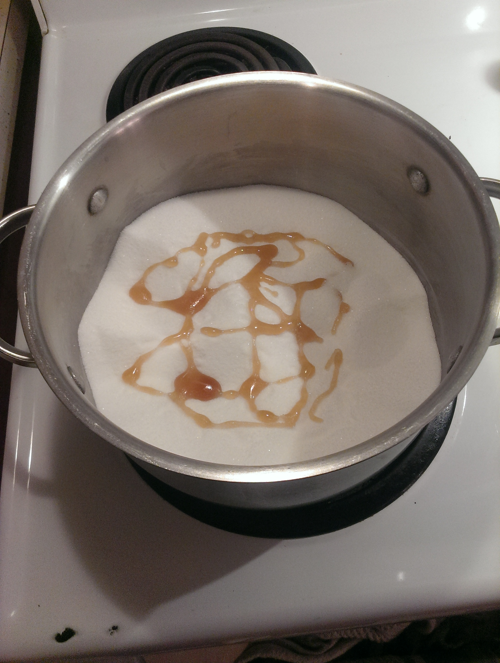 Once the sugar is inverted you must do something to it to make it usable -- if you let this mix cool it turns into a gooey mess with the consistency of melting toffee. Your options are two-fold - you can make a hard candi (like you'd get in a store) or a syrup (which is easier to deal with for brewing but harder to store). To get a hard candi we need to heat the sugar hot enough to drive out most of the moisture, so that when it cools it will be hard sugar. This is easy to do - but is also easy to overshoot. Raise the temperature of your inverted sugar to hard-crack temperature - 149 - 154 C (300 - 310 F). Do this slowly - over shooting can burn the sugar. Turn off the heat once you're into hard crack territory, and quickly pour the sugar into silicone pan or a tray lined with parchment (not waxed) paper. Let it cool - room temperature for at least 12 hours, or 4-5 hours if you can get it into your deep freeze. This is easy to store, but can be hard to dissolve into your beer. Essentially, you need to break it into small pieces and dissolve it into your wort at the beginning of the boil - with some stirring and luck it should dissolve by the end of your boil. Obviously, this is useless for a sugar addition to the fermenter. Syrups are ideal for adding invert sugar to both the kettle and fermenter as the sugar is already dissolved and is in a liquid form we can just pour & stir in. Making this stuff is even easier than the hard candi. During the last few minutes of the boil bring a volume of water to a boil that is equal in volume to the water you added initially*. Once the inversion time is done, turn off the heat on the stove and slowly blend in the heated water from step 1. WARNING: you are adding near-boiling water to a sugar mix well over water's boiling point. This will boil up explosively - go slow, and be careful! Pour into pyrex jars while hot - this'll sanitize the jars and make pouring easier (the sugar will be more liquid at this point). If you lack pyrex jars, let the sugar mix cool and pour/spoon it into your storage container. This will store indefinitely at room temperature. I recommend not refrigerating it, as this may cause crystallization. *You can add more or less water than this, depending on how thin/thick you want your syrup. I find the 1:1 ratio is a good balance between pour-ability and concentration. Simply heating this syrup in hot tap water is enough to make it flow freely - which is perfect for adding to a fermenting beer. Hint: if you really want to hit a specific degree of fluidity, pick up a bit of the syrup on a tea spoon and blow on it to cool - it'll then pour like the completed syrup. This lets you dial-in your water level. Crystallization is the bane of making invert or candi sugar - it can render a batch of sugar unusable if it gets too bad. So how do we avoid this? Turns out its not all that hard - all you need to do is avoid a bunch of the advice given in my past posts and videos (Posts 1, 2). The key here is preventing the formation of seed crystals, which will then grow into larger and larger crystals. So how do we do this? Pre-clean everything with low-mineral water (good tap water works; distilled/RO water otherwise). 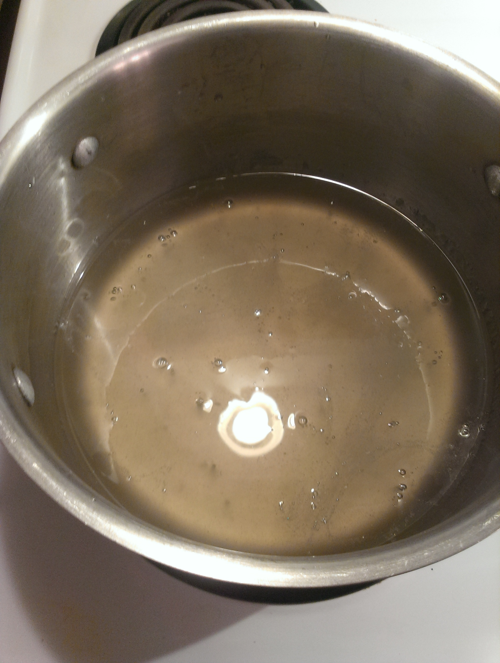 Clean your pot, stir-spoon, and anything else that will contact the mix. Dust can nucleate crystals, so get rid of it. Use a stainless steel spoon to stir the sugar - it'll cause less of a heat shock and is more easily rid of crystal-nucleating dust. Once the sugar is dissolved - but before it starts boiling - rinse any crystals stuck to the side of the pot into the sugar mix with water. A pastry brush or clean BBQ brush works well for this. Make sure these crystals are dissolved before bringing to a boil. Once the sugar is boiling, avoid stirring. That water-addition trick I used previously should be a last ditch effort to cool your sugar. Careful control of the element, and removing the pot from the element if its close to overheating, are much better mechanisms of control. If you must stir, avoid splashing the sides of the pot. That's it - invert sugar is beyond easy to make! In your posts from 9 SEPTEMBER 2013 Making Belgian Candi Sugar and 6 OCTOBER 2013 - Belgian Candi Sugar II you say that is a serious mistake using acid elements such as lemon juice. Instead of that, you indicate using Food-grade lime - or calcium hydroxide -, which is an alkali element. But now, in this post from 31 JANUARY 2015, a newer one, you return mentioning using cream of tartar, which is an acid element. Also, you suggest the use of any food-grade acid, including lemon or lime juice. They are both correct. If we want to completely invert sugar we need an acidic environment, hence the use of cream off tartar/lemon/lime juice. However, acidity inhibits (and bases promote) malliard reactions, so if we want to make Belgain candi sugar we want a basic environment - but only after we've kept the pH neutral to allow sufficient inversion to occur. Awesome posts. 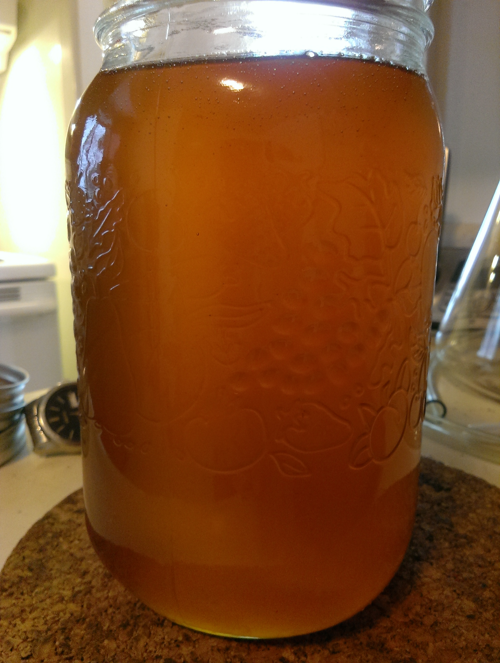 I'm coming to this as a meadmaker, not a beer brewer, so my interest centers on doing a similar process with small quantities of honey to get deep caramel flavors in a bochet. I just wanted to offer a word of warning on the syrup recipe you posted. Watering down any syrup will, similar to honey, make it fermentable. 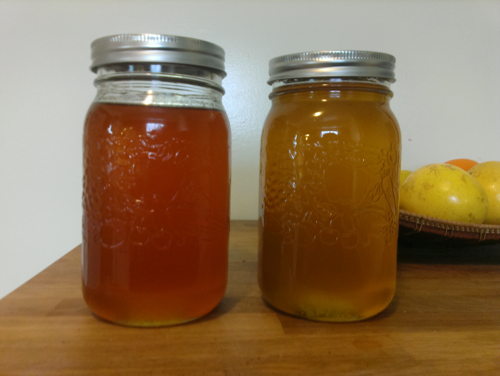 So I would strongly encourage anyone who adds extra water to their syrup to put it in a sanitized jar, and then follow through with proper canning procedures, with vacuum sealing, and keeping it sealed until you are ready to use it. I don't think that a watered down syrup will "keep indefinitely" You are at risk of a wild ferment. So either can your watery syrup or don't water it down. Get it up to just under "softball" temperature, so right at 230F -235F. Then you will have 80%suger, 20% water. That's a safe place to be. 20% water content is the absolute max you would ever want to have your honey be. Otherwise it can spontaneously ferment. Same with sugar syrup. 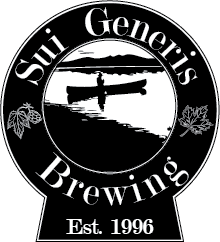 Brewing long-aging beers - some guidelines.